Yes, it is not all doom and gloom. Last week I posted an article that was admittedly a bit vague, with concern for Rally America’s national championships. Two of the 2013 champions, plus Ken Block and a few other regular national entrants stated that they are unable to continue in the 2014 national championship season. There were quite a few comments here on the site as well as on Facebook and Twitter and I must say I really appreciate hearing from all of you as passionate about the sport as I am. Once I weeded out the Pro NASA / Anti-Rally America biased comments as well as the “stop spreading bad news about our sport” statements, the common theme was one we are all familiar with and I completely agree. The bottom line is that rally racing is expensive. Yes, I completely understand that drivers and teams will come and go, some only lasting a couple of seasons when the financial tap runs dry. Entry fees and costs of following the rules of the sanctioning body of the events are but a small part of the total costs of owning and maintaining a rally car and team. Or it used to be anyway. I did hear a couple of common complaints which supports my opinion that Rally America could do more to make the national championship more friendly to smaller teams. Specifically these smaller teams have sponsors to help cover costs, but not at the level of a manufacturer backed entry and the sponsors expect at least some photo or video media in return. The last few years RA has been charging high fees for any dedicated media that a team wants to have ($1000 per person per event is the number I kept hearing). This is in addition to the triple sized entry fees for national entries and other mandatory fees. For a lot of these smaller teams that had at least some sponsorship help, the addition of the media fee was the straw that finally broke the camels back (or bank, however you want to look at it). My opinion is that until Rally America gets a TV deal, the they need as much media attention possible from every available media outlet possible. They should encourage more media from teams not discourage it with higher fees. End rant. So enough with last weeks’ ranting and on to this week’s news! There are some very exciting changes and additions coming to Rally America for 2014. 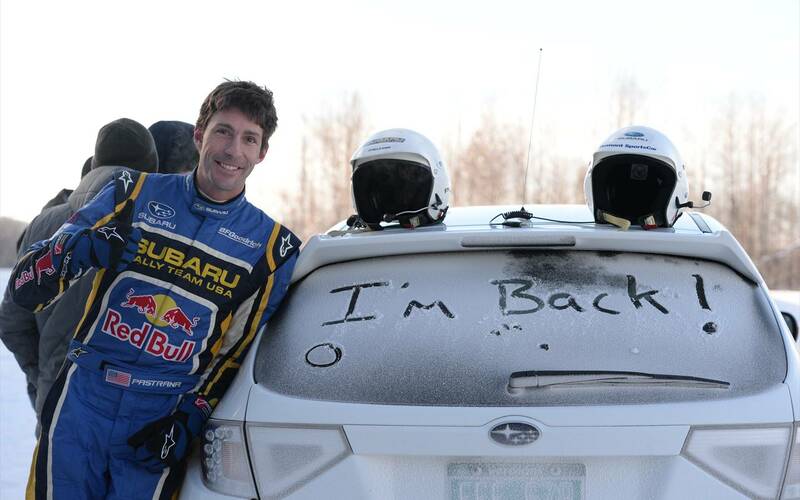 First and foremost has to be the official announcement that Travis Pastrana is returning to Subaru Rally Team USA with his first event being at the 100 Acre Wood in Missouri (Sorry Sno*Drift fans, he won’t be competing there). Subaru announced this about the same time as the release of the new 2015 WRX STi at the Detroit International Auto show. Additionally Vermont Sportscar who builds SRT USA’s rally cars stated that they will have a rally ready 2015 WRX STi sedan sometime later this season. It will be interesting to see how the new platform performs over the current one. Higgins & Drew will begin their season at Sno*Drift Rally, the first round of the Rally America Championship held in Atlanta, MI January 24-25th. Pastrana will make his debut at the second round of the series, the Rally in the 100 Acre Wood held in Salem, MO February 21st-22nd. Pastrana will also compete in Global RallyCross at X Games June 6-7th. Pastrana and Higgins will compete in 2014 WRX STI rally cars featuring Symmetrical All-Wheel Drive. 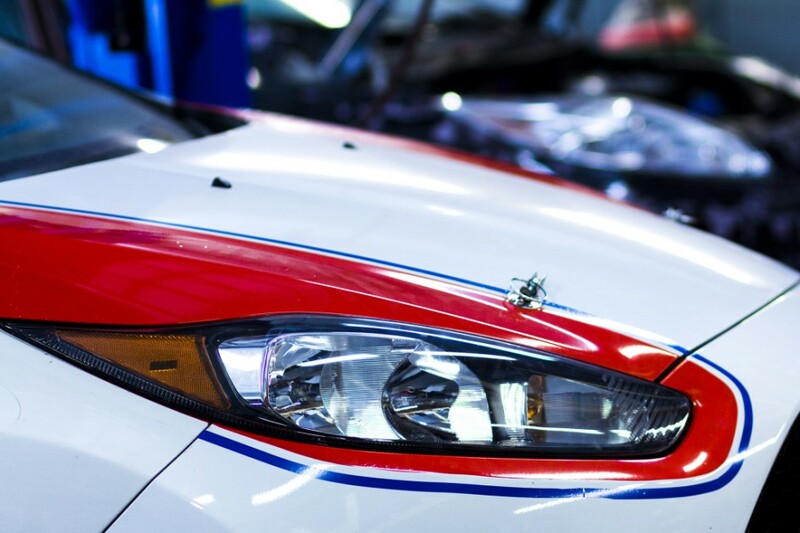 Both cars are prepared and managed by Vermont SportsCar, who also manages Subaru of America’s rallycross efforts in the Global RallyCross Championship. The all-new 2015 WRX STI, which debuted today at the North American International Auto Show in Detroit, is in development at Vermont SportsCar and the team will debut the car later in 2014. The next big announcement was the change up in 2wd. 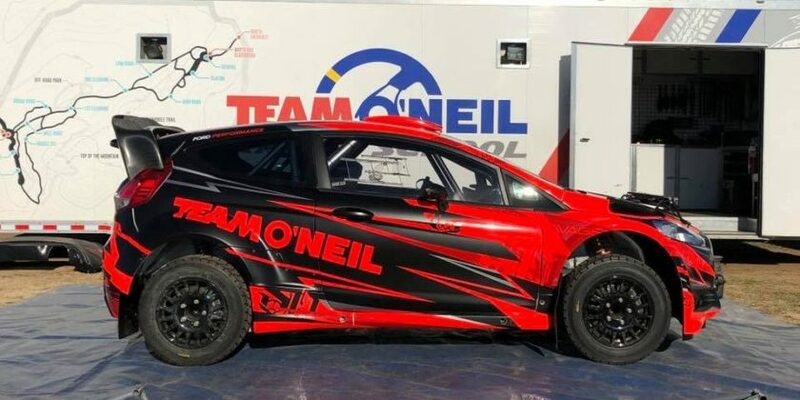 As we announced in this earlier press release here, Andrew Comrie-Picard who has been with Scion developing the ugly-duckling “toaster” RallyxD rally car, has now moved to Team O’Neil to drive the Ford Fiesta R2. What does that mean for Scion? Interestingly the the RallyxD will be at Sno*Drift, but this with well known Rally America veteran and rally sports announcer Matthew Johnson at the wheel! Which makes one wonder, who’s going to do the Rally America coverage now? The next big news that came to light was last years’ rookie of the year, Nick Roberts who is teaming up with Rally America 2wd Co-Driver Champion / former WRC Academy competitor Rhiannon Gelsomino for a full championship push. Nick is hoping her international experience will take himi to the next level as they go head-to-head against the likes of Dillon Van Way and multiple Super Production Rally America Champion Lauchlin O’Sullivan. 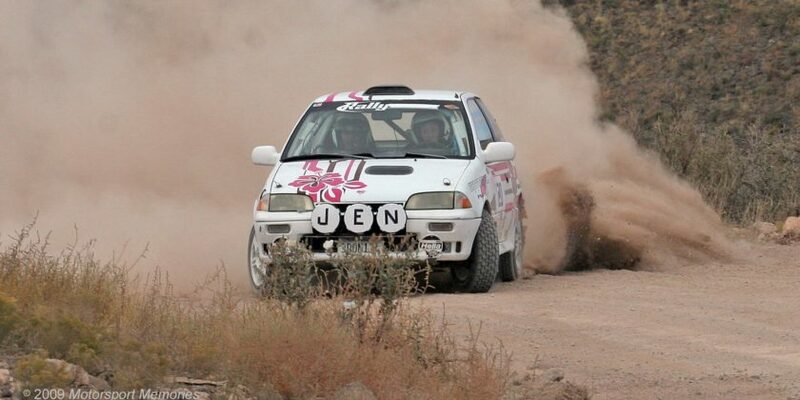 PRESS RELEASE – Nick Roberts Global Rally Team is excited to announce that for the 2014 season we will be teaming up with experienced co-driver Rhianon Gelsomino. “Rhianon and I spent a fair amount of time in the off season working together and I must admit i am quite honored to have the opportunity to work with such a talented co-driver. Be sure to stay tuned for some great results this coming season!” Co-driver Rhianon is the 2013 Rally America 2wd co-driver champion and has competed internationally now qfor over 6 years. Her experience includes 2 years in the WRC Academy as well as the Asia Pacific Rally Championship. Rhianon has worked with various factory teams in different championships and has competed in over 80 rallies. Rhianon is originally from Victoria in Australia, but now resides in the USA. 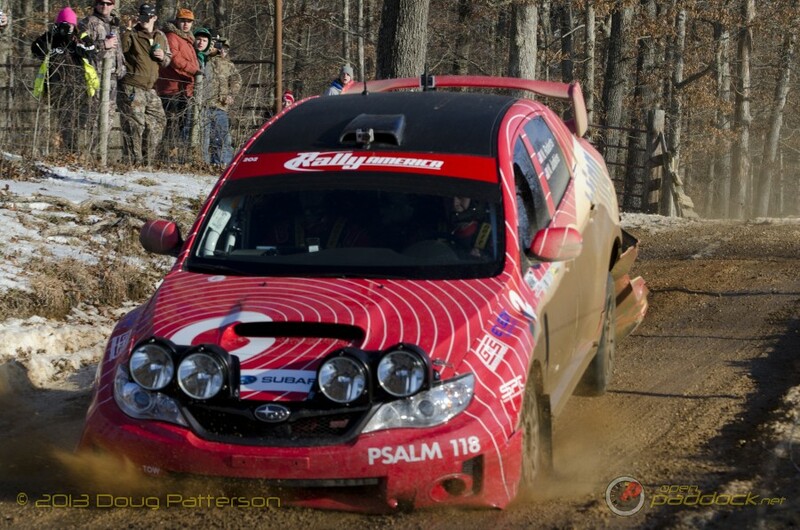 “I am extremely excited to be sitting next to Nick Roberts the 2013 Rally America Rookie of the year this season. I have worked with Nick in the off season with pace note training and testing and I can’t wait to get out in the stages at Sno Drift”. “Nick has put together a solid program for 2014 and we will be working hard to secure the Rally America Super Production Championship”. So it looks like we will again have some great battles in the 2014 season at the national level, especially in Super Production and 2wd. Unfortunately it seems the top Open Class Championship will likely be decided between teammates Higgins & Pastrana. That could all change if Rockstar helps support Antoine L’Estage’s USA campaign to beat Red Bull sponsored Pastrana, or if Monster Energy opens up Ken Block’s schedule obligations as well. I’d personally love an energy drink championship battle between all 3, but I’m not going to hold my breath. Thank you for finally saying it. The middle to end of that second paragraph is positively spot on. After 25 years of shooting rally, I left at the close of 2011. It just wasn’t appealing as it became a battle for those of us who had supported the sport for years to: a) eliminate shooters who just could not follow the rules and were putting themselves in danger thereby endangering the sport, b) the mishandling and illegal usage of photos without photo credits of copyrighted images by the sanctioning body, and c) the rules changed in favor of the sanctioning body thereby making it impossible for us to support the smaller teams which in turn keeps the sport healthy. Again this year, the ONLY way a person can view the online Rally-America media rules is – and this is even for a “potential shooter” – to first enlist and get approval as a shooter. Why not have those rules online to view first before giving away any information? Wouldn’t that make more sense and make the possibility of shooting more appealing for potential media outlets? Although I left, I did have someone also forward me the info on the $1000 upfront costs. As well, I also understand that event photographers are supposed to give a percentage of their income back to R-A. (I had an e-mail forwarded to me secretly – that’s how I know.) Not saying how much, but ‘Why?’.and ‘Where is that money going to?’ when there is clearly no sponsor even after last year’s rate hike….. still. Jerry, as you know, it’s crazy who we see out on stage with a vest. The past couple of years, it looks like they’ve been cracking down on that, but there are still some iffy goings on. I’d like to see a proper photog meeting at the beginning of each day to help sort out some guidelines for those unaccustomed to stage rally. My first rally after having done circuit and oval photography was an eye-opener. I was very fortunate to have Brianne Corn as a guide that first year, and it really helped when it came to learning the special requirements and pitfalls of photographing stage rally.